It was founded in 2011, and has been recognized as an association by European authorities since 2013. 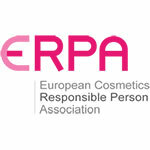 The European cosmetics Responsible Person Association now establishes itself as an official interlocutor with one objective: giving the status of Responsible Person the dimension of a real profession, with a level of requirements that lives up to its responsibilities. According to the text in Cosmetics Regulation 1223/2009, which introduced this concept into the cosmetics industry, the Responsible Person is mostly defined according to its obligations.